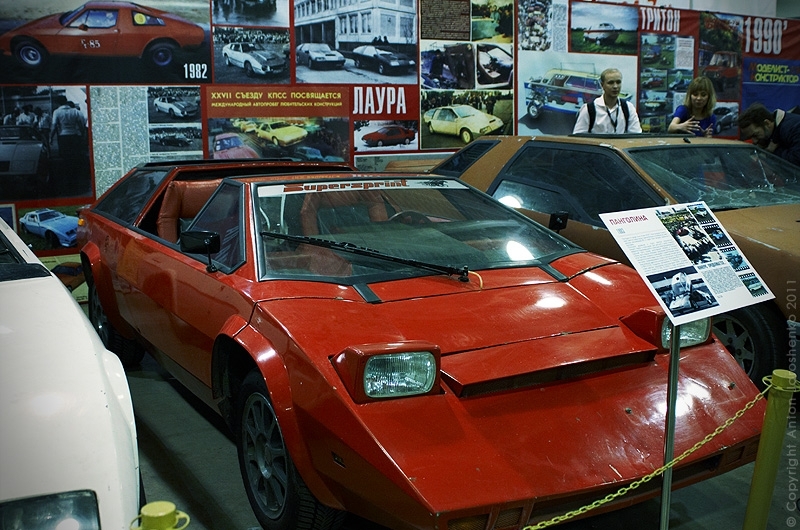 In the USSR, to buy a car one had not only save money for the whole life and but also had to wait for his turn for no less than 8 years… But Russian men are never going to surrender. That’s why they made cars with their own hands. 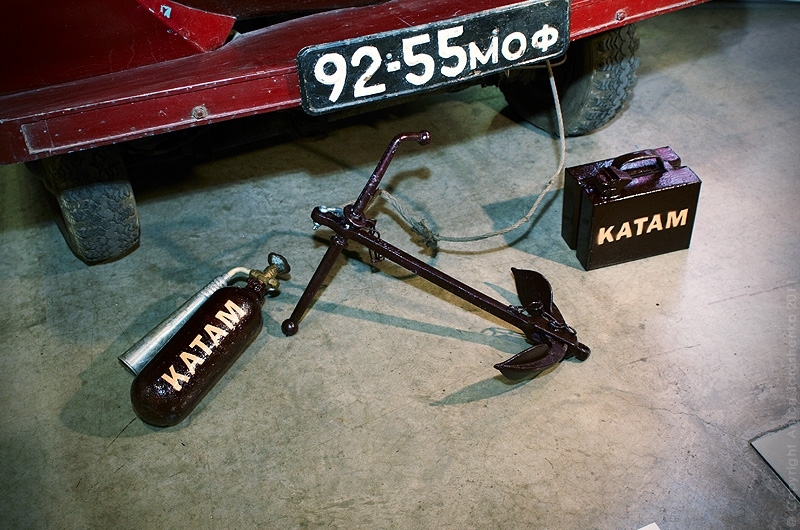 Here are the pictures of such handmade works of art found and exhibited by Ilya Sorokin. 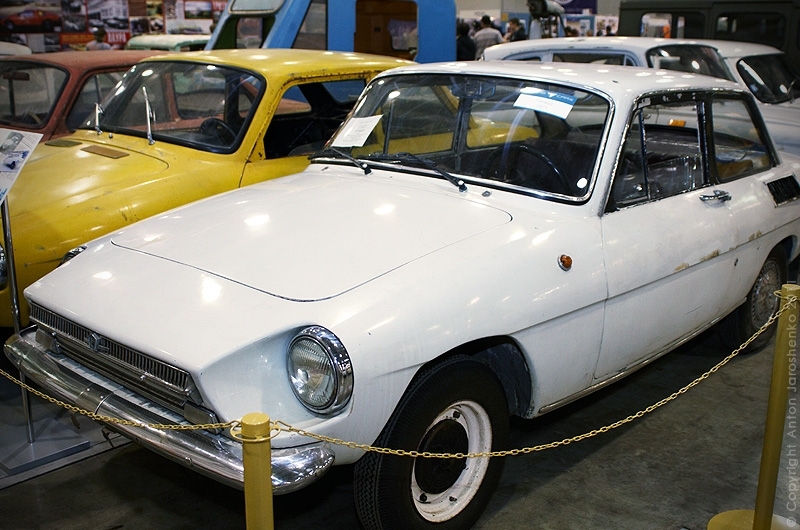 The series of similar cars were built from the parts of the ZAZ-966 and ZAZ-968. 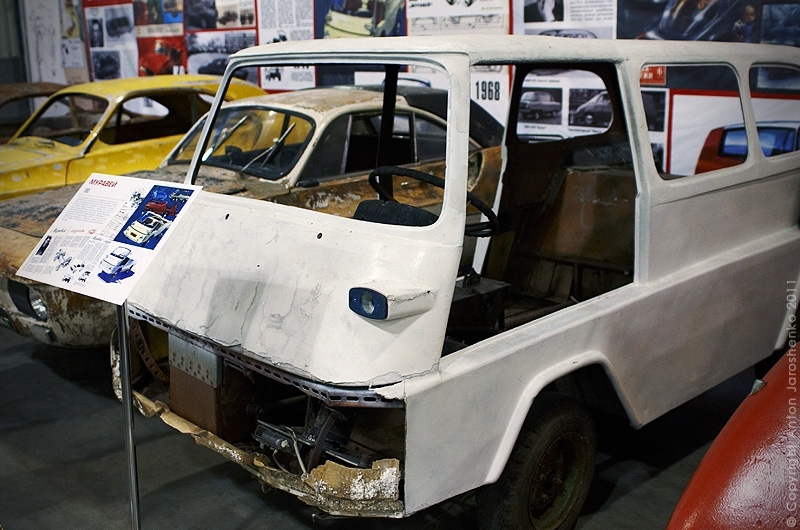 This is the first home-made car built by Soviet do-it-himselfers in series. 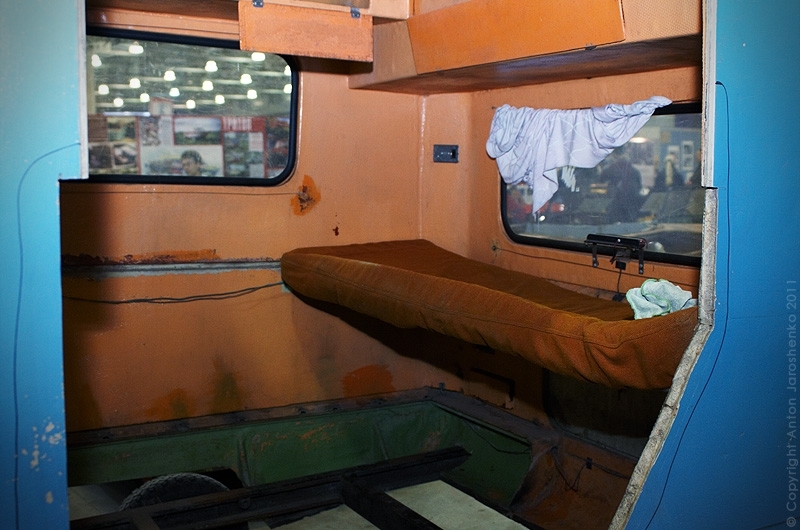 The engine, transmission and suspension are taken from the ZAZ-965A. 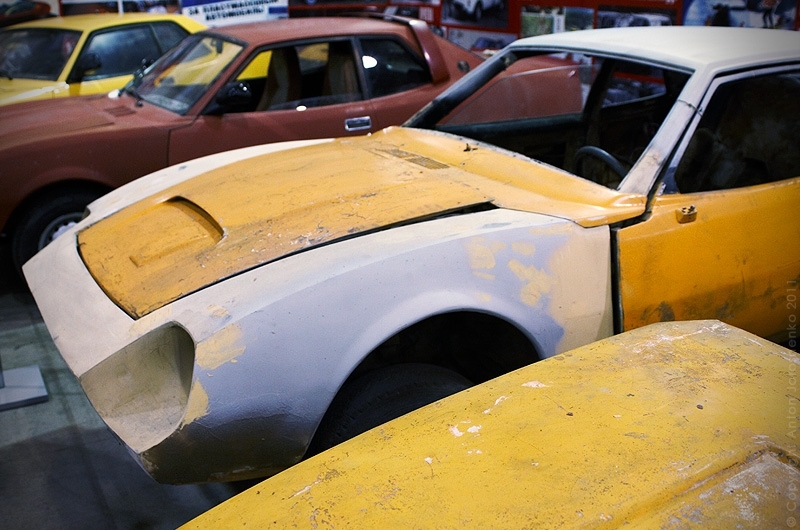 In total, only 6 cars were built. 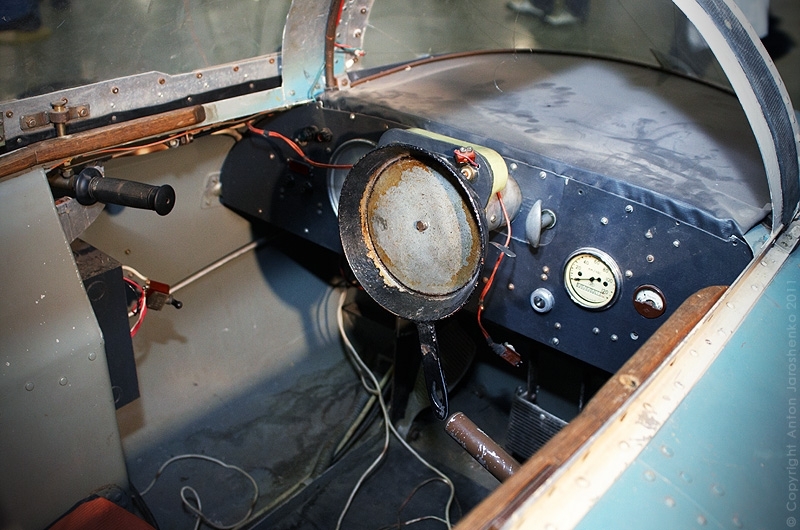 The engine is taken from the motorcycle Jawa-350, the main transmission and both suspensions – from the sidecar C3A. 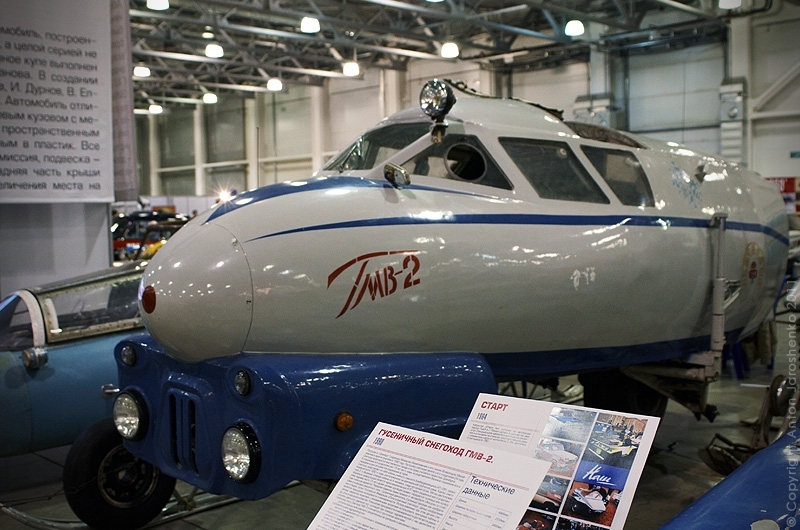 This car was made by Scherbinin brothers and is based on the “Volga” GAZ-21. 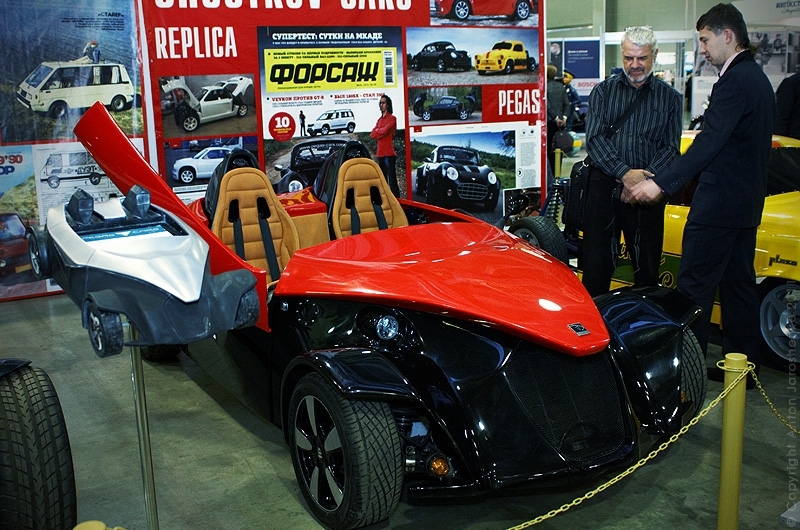 An electric car with the engine of a loader and the batteries of heavy equipment. 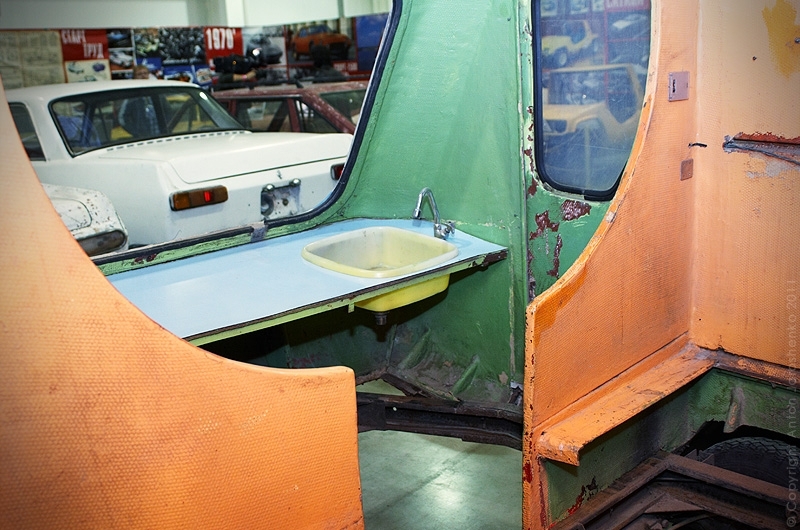 The parts are taken from the VAZ-2103. 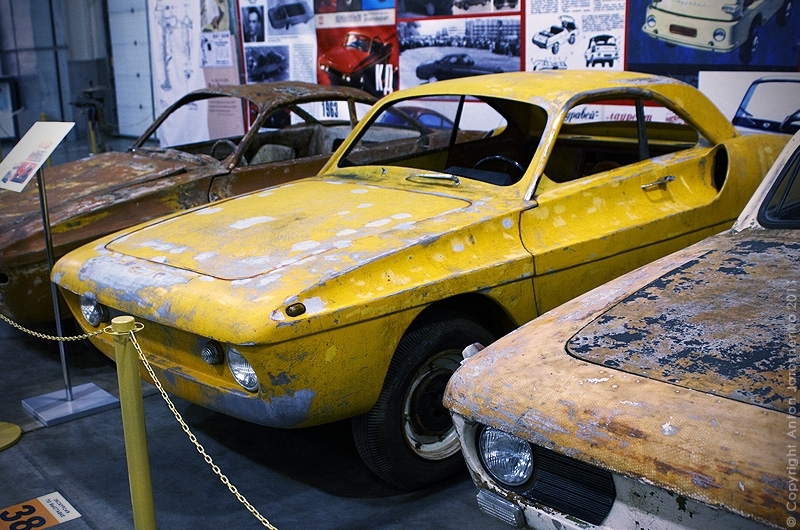 One of the projects of Scherbinin brothers who by the way were real maniacs of the automobile industry at that time. The engine of the motorcycle “Ural”. The parts are taken from the sidecar S3D. While working on this project the brothers were joined by another couple of extremely enthusiastic men, Algebraistov brothers. 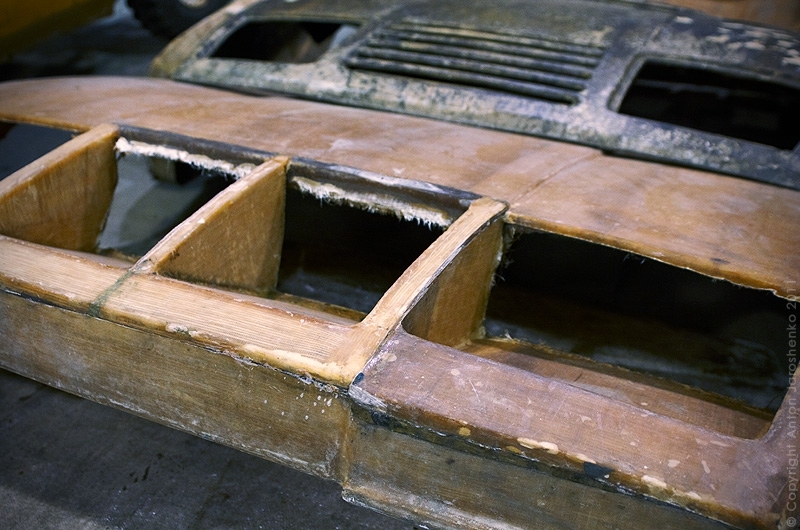 The parts of the body are made of fiberglass. The engine is taken from the Jawa-350, the parts – from the sidecar S3D. 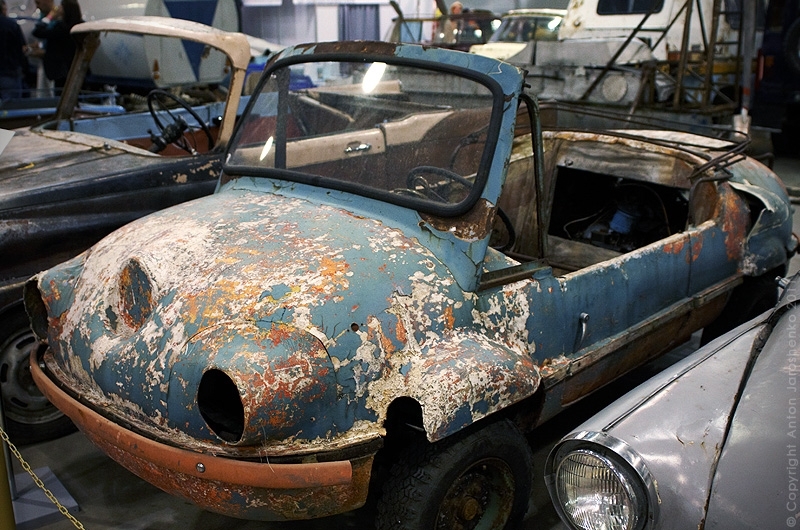 This is probably the most famous home-made car. 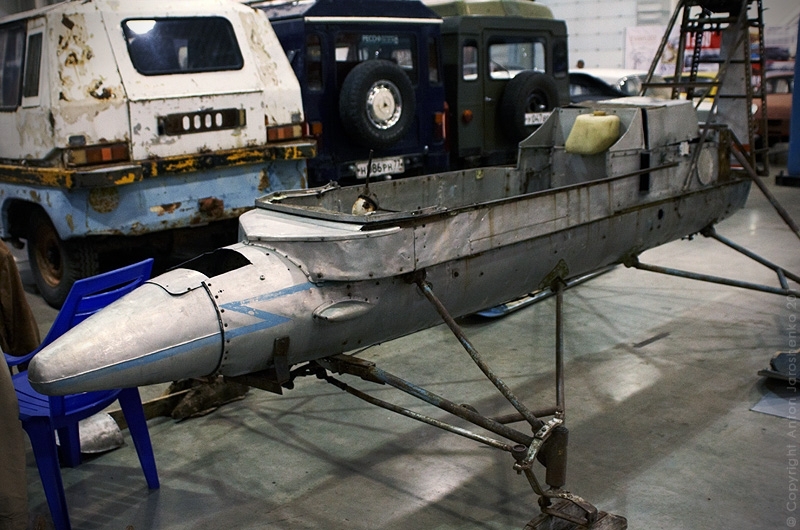 The engine and parts are taken from the Zhiguli VAZ-2101. 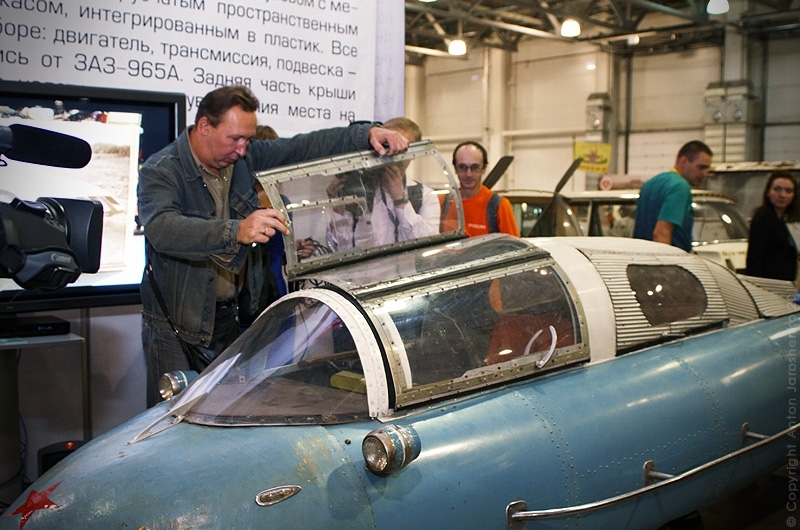 Yuri Algebraistov, the creator of this car, constantly upgrades it. Even today it is fully in working order and excellent condition. The engine of the BMW can be found under its hood. 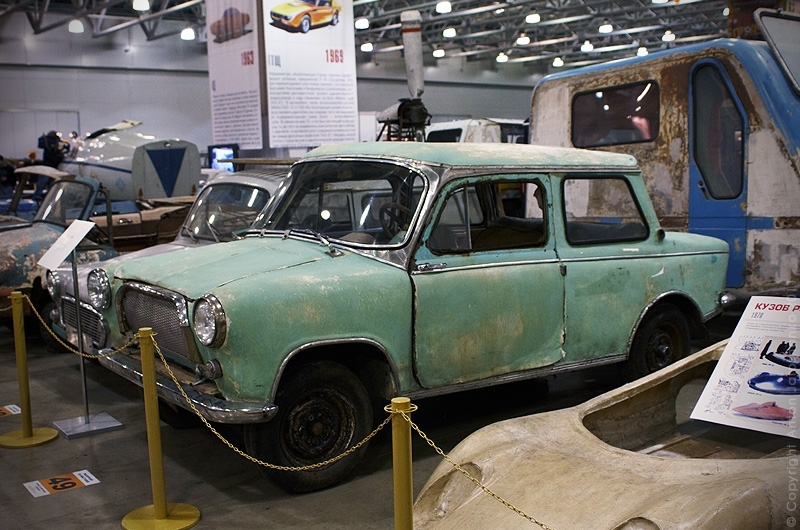 In fact, it is the only Soviet home-made car that managed to live till nowadays. 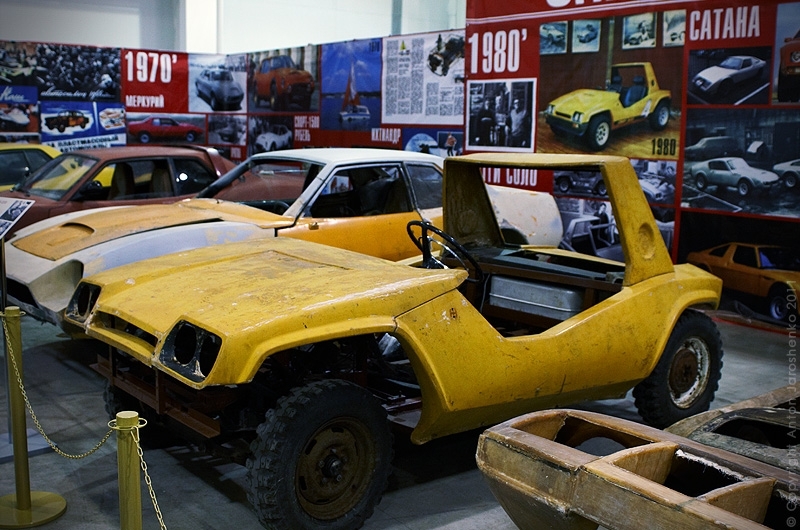 This is the modern attempt of Shustov Cars to make a “cool” automobile. These are not enthusiasts like the Scherbinins but professional designers. And this is sad because some Russian designers think for some reason that the more lines they’ll draw on paper, the better. Sometimes, this is not so at all. 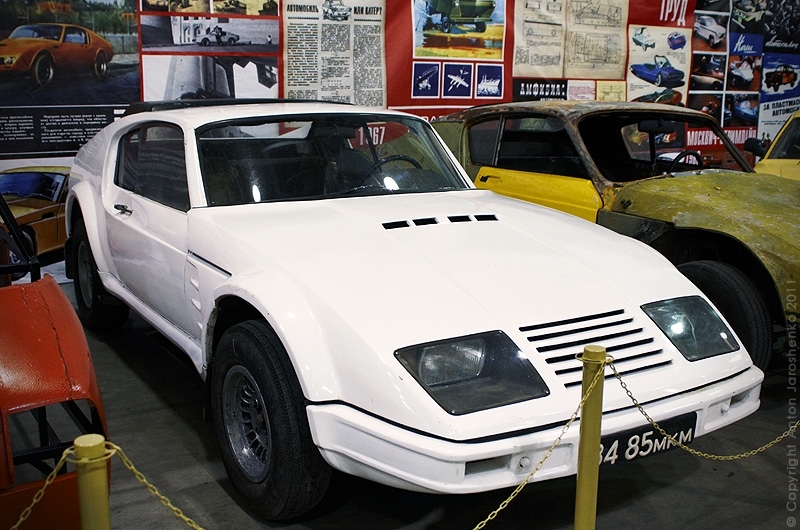 This car has a home-made three-cylinder engine. A very interesting detail. A frying pan instead of the wheel. That’s how it should have looked according to the author’s plan. 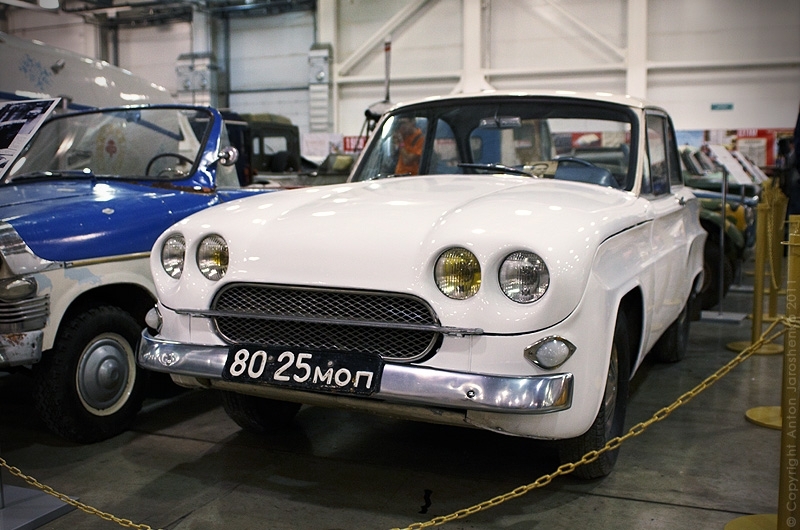 Built on the basis of the GAZ-21, it was assembled at the car repair plant and was intended for its chief engineer. 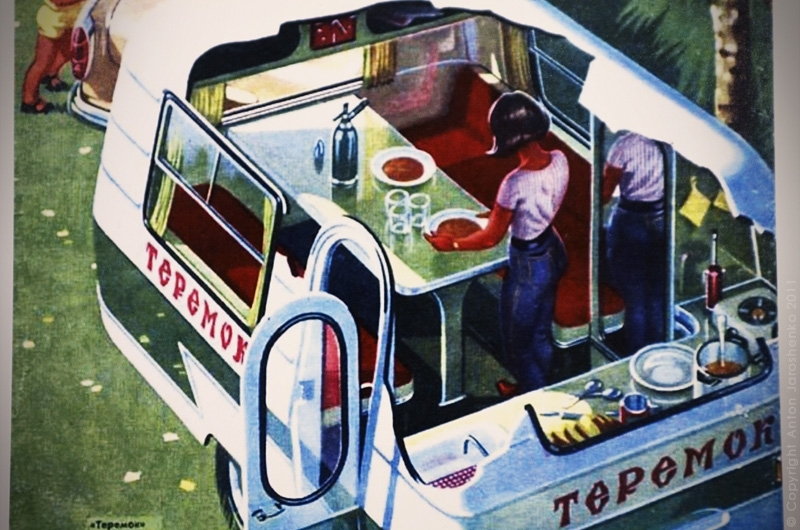 A minibus of high cross-country ability. 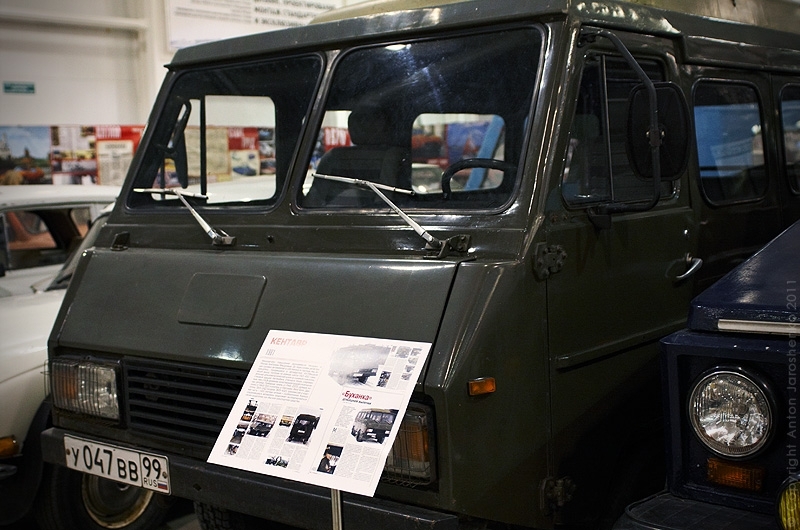 “A multifunctional car built by V. Komar and intended for the use in the conditions of Russian reality” is written on the plate near the car. Looks more like a boat with wheels. The wooden frame, water-proof veneer. The engine is taken from the Jawa-350. Equipped with devices necessary for navigation. Cool! 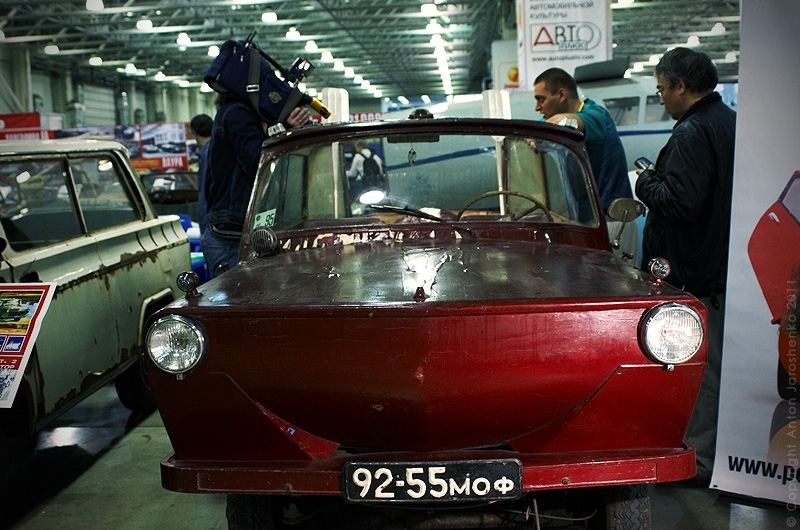 Making cars on your own were quite popular even in our soviet republic, I saw one about a week ago. A local man is still driving with it. 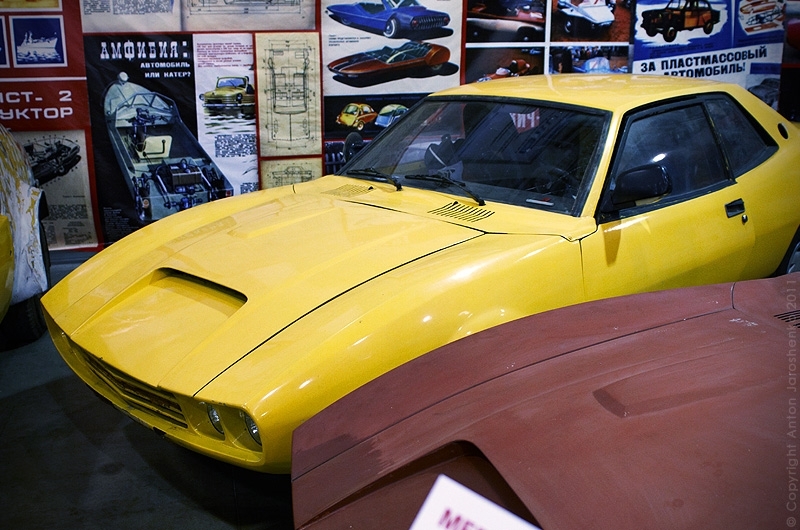 It´s based on parts of AZLK and LADA and made of fiberglass. Gotta love it! 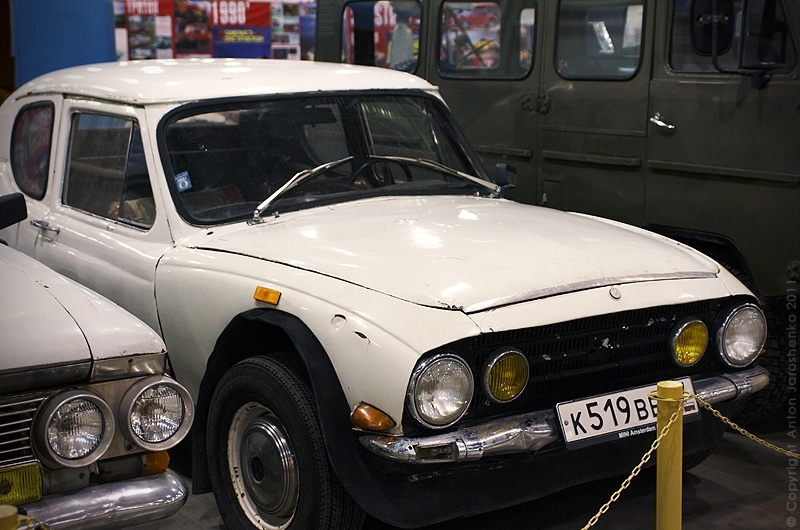 Amazing to see see Soviet era cars with windscreen wipers intact! 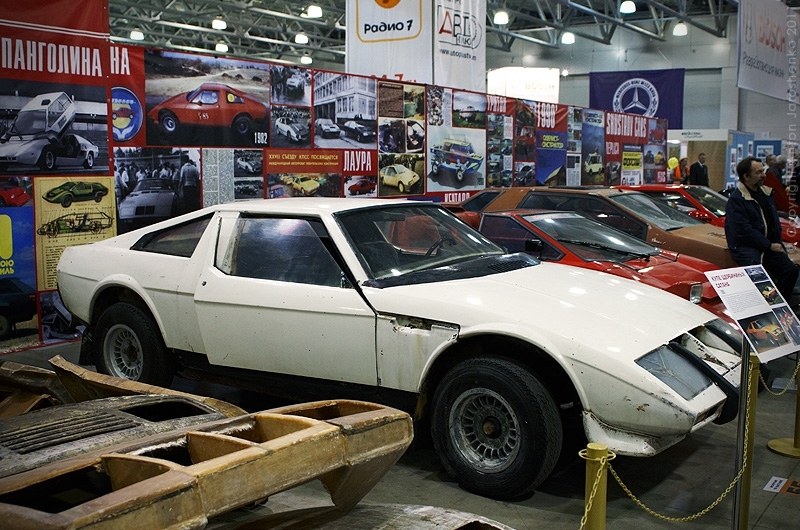 The “Pangolina” was very probably inspired by Maserati Khamsin. 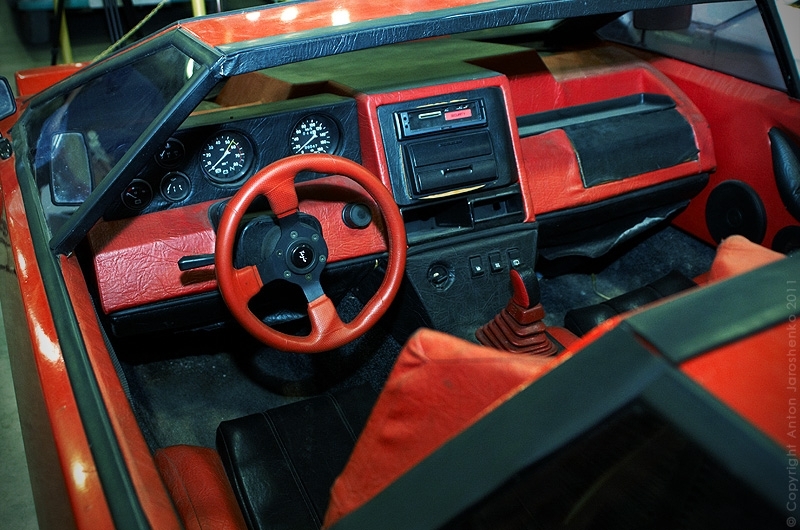 Man, these are the coolest ZAZ I’ve ever seen! What a lie… you can easily buy car (of course if you normal worker, for example scientist) and you didnt have to wait 8 years. Dunno about that. 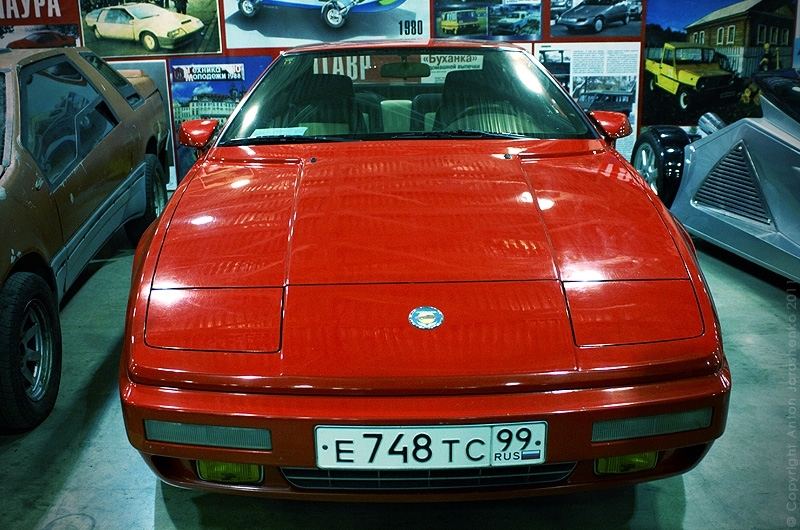 Back in the old times, soviet in Lithuania there where a waiting time around 8 years to get the car. I remember an East-German friend of mine telling me this joke. Person 1: What is the first thing you do when you get a child? Person 2: Registering it and giving it name? Person 1: No, file a request for a car, by the time its the kids turn to get a car, it will surely be over 18. I love the KD series, i’d like to own a renovated version of one of those. 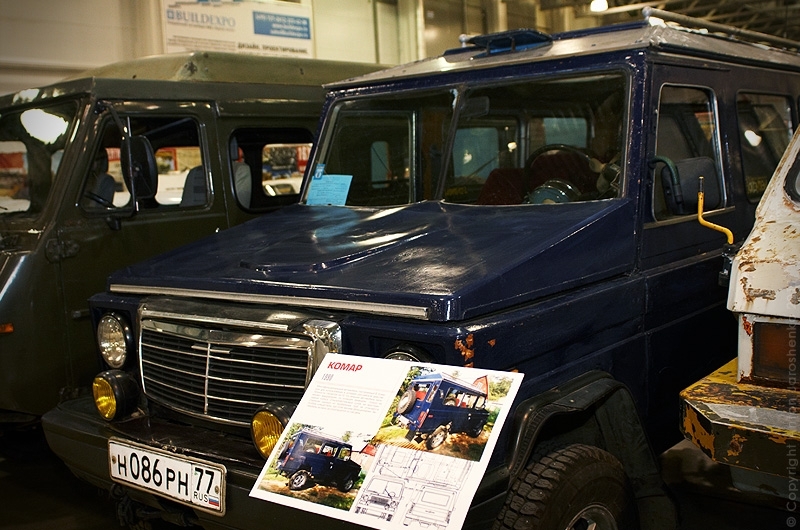 Soviet-time homemade car from Estonia, “Taksikoer”(Badger dog). The engine is 650cc Ural with watercooled cylinders and automotive generator. This is very fascinating, You’re a very skilled blogger. I’ve joined your rss feed and look ahead to in the hunt for more of your magnificent post. Also, I have shared your web site in my social networks!